Counterbalance takes the week off, but co-conspirator Eric Klinger is still around to recommend to you the Mighty Shamrocks' three-decade delayed LP. Taking cues from a wide range of music -- the New Wave that was ubiquitous at the time, country elements from the pub rock scene, and a hint of reggae (their moniker is a play on roots reggae group the Mighty Diamonds) -- the Mighty Shamrocks made their regional name on the strength of songs that brought the political turmoil of the times to a personal level. In 1983, the group recorded an album for the Good Vibrations label, and it looked like the group might well be on their way. But as it so often happens on the road to rock glory, fate made other plans. The Good Vibrations label went bankrupt just as the album was due for release, and the band collapsed under the pressure. Over the years, the Mighty Shamrocks became something of a local legend, and the songs -- mostly penned by Stephens, who had settled into an academic career in the United States -- made the rounds on bootleg cassettes. It wasn’t until 2012 that the master tapes found their way into the right hands, enabling Paddy to receive the official release that for nearly 30 years had been out of reach. 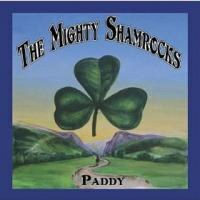 Throughout Paddy, the band demonstrates a nimble ability to navigate an array of styles while still maintaining their core sound. The pub reggae of “Breaking Up with Harry” (whose smooth façade masks the fact that it’s actually a chronicle of heroin’s pernicious influence on their scene) gives way easily to the proto-alt-country of “Cowgirls”, which features some clever chord changes and a blazing pedal steel solo. Odd flourishes like the mariachi horns in “Smiling Juan” help underscore the fact that the group was actively looking for every opportunity to set the songs apart. And when Stephens delivers a line like “our fate was a fait accompli” in the plaintive acoustic number “Marie”, you can’t help wondering what might have been if the Shamrocks had gone forward. The Mighty Shamrocks have been getting together to play a handful of gigs here and there, offering a nice coda to the group’s saga. Meanwhile, Paddy offers the listener more than a simple feel-good story about a rock 'n' roll second chance -- it also helps us gain a fuller picture of the development of roots-based music in the UK and a collection of songs from a truly gifted songwriter.